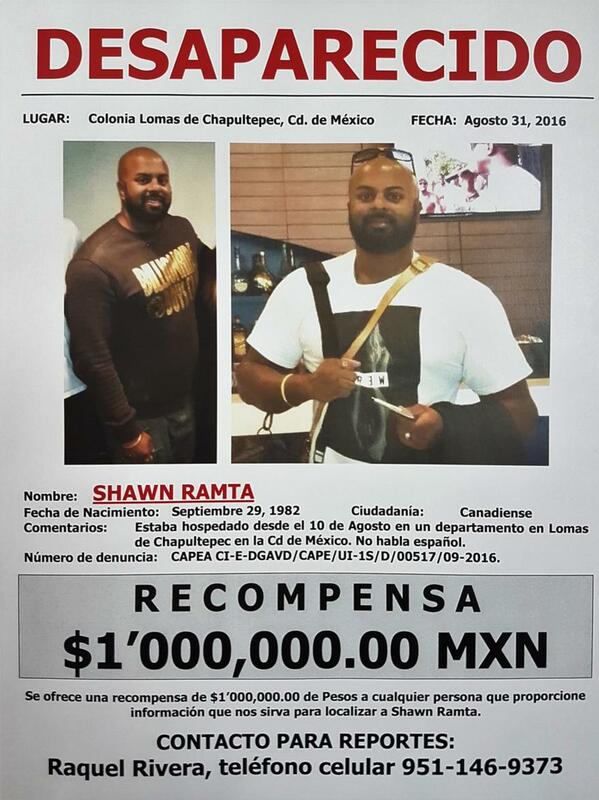 On August 31, 2016, a Canadian man, Shawn Ramta, 34, called his wife in Canada from Mexico City. He then left his AirBnB in the upscale Polanco neighborhood to go to the gym. According to Mr. Ramta’s younger sister, Sareeta Bassuta, 31, Ramta had been in Mexico City on vacation, and was due back in Canada on September 2. But when his wife went to Toronto’s Pearson International Airport to get him, he wasn’t on his direct Air Canada flight. His absence was more troubling given that his one year marriage anniversary was only a few days later, on September 5. Mr. Ramta is believed to have arrived in Mexico City on August 10. His sister and her partner Anisan Anton were recently in the Mexican capital to try to determine his whereabouts. Mr. Ramta is originally from the greater Toronto area (GTA), with family in Brampton, but recently moved to Vancouver, where his wife is from. He is a partner at Empire Customs, a menswear company, and is also the sole director of Excalibur Freight Systems Ltd., a small trucking firm. Aside from the abrupt termination of contact with his wife after August 31, Ms. Sareeta feels it is also unusual that her brother would be out of contact with his grandfather, the well-known Punjabi folk singer Hazara Singh Ramta, who is now in his early 90s. Because Mr. Ramta left from Toronto to come to Mexico City, his wife, who lives in Vancouver, is unfamiliar with the luggage he brought. Family from the GTA were also unaware of what he packed. All attempts on the part of the family in Canada to solicit phone records – Mr. Ramta was on Rogers roaming – have failed so far. The family has also had no luck with credit card, dental, and banking records. In Canada, Peel Regional Police (21 division) has informed the family that any records request has to come from Mr. Ramta himself, or from the investigating police agency, which is in Mexico. To date, that has not occurred, which is causing significant frustration. The family is convinced that Mr. Ramta, who has no criminal record, was not involved in any illegal activity, and has not gone missing of his own free will. The family has hired a private detective in Mexico City, and Ms. Sareeta herself has done the grim work of going to morgues to see if she can identify her brother. She has also given a DNA sample. The family is now actively trying to publicize the news of Mr. Ramta’s disappearance. 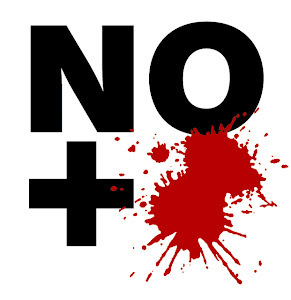 A large notice was published in El Universal newspaper in Mexico last week, and a billboard is going up in Mexico City. The award is posted at 1 million pesos – approximately C$71,000. There is also a web site at Dondeestashawn.com, and a social media campaign on Twitter and Facebook.